Roster is the distributor for Serbia, Montenegro of the two leading European companies for the production of scientific equipment and devices for laboratories in the area of medicine, agriculture and environmental protection. The Italian company LANZONI and English BURKARD produce top-quality devices for the collection and sampling of fungal spores particles and pollen. In addition to spores catcher, we offer a wide range of mycological and entomological instruments and appliances, as well as of other scientific equipment for hospitals, scientific and research laboratories for work in the laboratory or in the field. Roster is the distributor for Serbia, Montenegro of the Italian FRAL company, which is the manufacturer of leading solutions for professional and industrial dehumidification. The FRAL dehumidifiers are flexible, elegantly designed, functional, silent, efficient and very cost-effective because of their low power consumption and longevity. Maintaining the relative humidity between 40-65 % can be extremely valuable in certain facitlities. Dehumidifiers maintain proper indoor humidity in order to prevent damage to electronic equipment, deformation of some kinds of materials, degradation of organic matter or spread of micro-organisms which may fatally undermine health of people. 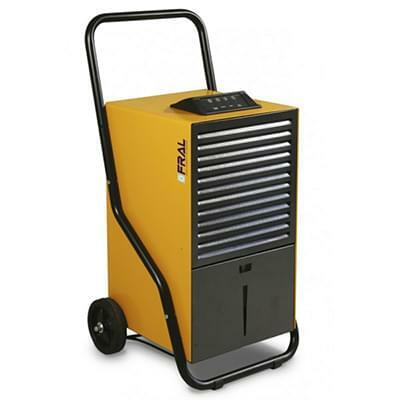 FRAL dehumidifiers and other industrial devices are the result of years of experience of the famous Italian design and functional technology. Roster is the general agent and distributor for Serbia, Montenegro, Slovenia, Croatia, Bosnia and Herzegovina of the GCSEAL company, a leading designer and manufacturer of high security seals. GCSEAL security seals are manufactured according to European and international quality standards and specific requirements of mechanical sealing and closure of shipping containers. A wide range of products is intended for a number of industries and users of security seals, seals for containers and seals high-security seals: bolt seals, cable seals with a steel cord, plastic seals, padlock seals, barrier seals. Any location that requires protection against unauthorized handling or access.